Home Numerology Angel Number Meanings Triple Digit Angel Numbers Meanings Angel Number 818 Meanings – Why Are You Seeing 818? At times it feels like the same number keeps cropping up everywhere. You suddenly wake up and the bedside clock reads 8:18am. You pop down to your favourite café and decide to try something new, the total comes to $8.18. A friend lends you a book that you simply must read. While staring blankly at the book on the bus home you notice that the barcode ends in 818. When numbers like this show up repeatedly, it is usually no coincidence, but rather a message from the Angels. 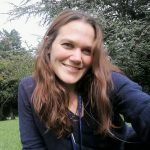 What could the triple digit Angel Number 818 be trying to tell you? What does Angel Number 818 mean for love? Angel Number 818 is an empowering number as it has the number 1 at its centre. 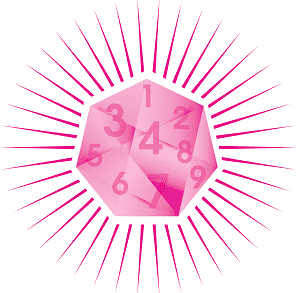 This is the number of new opportunities, new beginnings, and personal power. The number 1 is a symbol of our power to shape and control the world, and create opportunities, with our decisions, actions and attitude. However, the number 1 is both surrounded by the number 8, and reduces to the number 8, as 8+1+8=17, which further reduces to 1+7=8. The number 8 is a strong reminder that actions have consequences, consequences that we are responsible for and must live with. It is a reminder to be wary of trading long term happiness for immediate gratification. 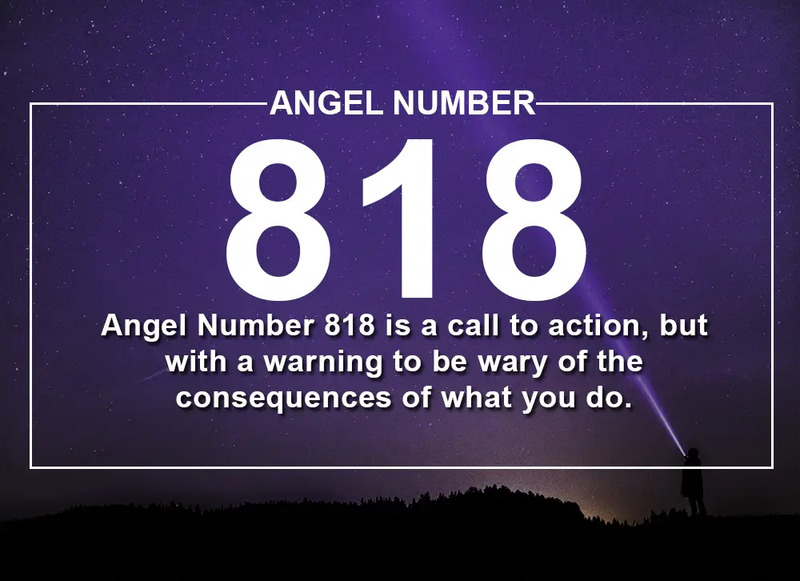 Angel Number 818 is a call to action, but with a warning to be wary of the consequences of what you do. Perhaps a new opportunity has presented itself to you, and it is a good opportunity, but it is not exactly what you wanted. Angel Number 818 can appear to let you know that you do not have to accept the opportunity on the table as it is. You can make adjustments. Have honest conversations with the relevant people to compromise and bring the opportunity closer to what you had in mind. Or think about what you will be able to do after you have accepted the opportunity to better shape it to you and your needs. Our immediate desires are hard to ignore, even when we know they sabotage our long-term goals. Often that piece of chocolate cake is just too tempting, despite a long-term aim to lose weight or feel healthier. While this is an obvious example, it is not always so clear how short-term gratification might be sabotaging our future. Angel Number 818 can appear to suggest that something that we are currently indulging in may not be good for us in the long-term. Sometimes when we find ourselves in a difficult situation, and our immediate thought might be ‘why is this happening to me?’ Angel Number 818 can show up in our lives to let us know that this situation is of our own making and a consequence of our own actions. This is not meant as a rebuke, but rather a spur to action. Just as we created the present, we have the power to shape the future. Move past blame and start taking positive steps to improve things. The 818 Angel Number can appear when we have been struggling towards something for quite some time, but are starting to feel deflated and like we will never succeed. It can appear to suggest that we are in fact closer than we think, and now is the time to push forward rather than pull back. In particular, 818 can suggest that whatever is holding us back is solely in our heads. The only thing that is really left to conquer before we succeed is our own demons. It is clear how we shape our lives with our actions and decisions, but we can often lose sight of how important our attitude is to how our life unfolds. While we cannot control every situation, how we respond to a situation can often have a greater impact on our lives that the situation itself. When we encounter failure, we can choose to take it as a sign that we were not good enough, or take it as motivation to work harder so that we are ready for when a better opportunity presents itself. The consequences of this mindset will be with us long after we have forgotten the details of the situation. Angel Number 818 can appear as a signal that it is our mindset that needs adjustment at this time. 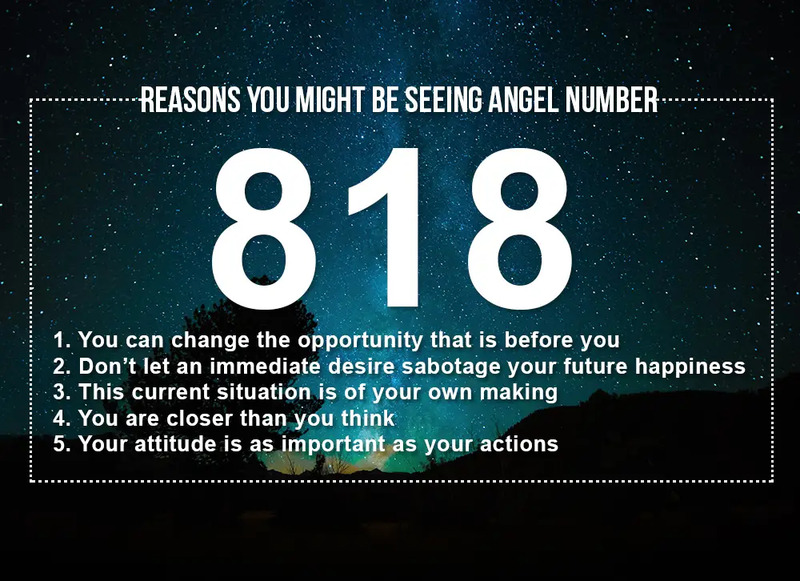 When it comes to love, Angel Number 818 can signal that we need to be careful with our actions at this time. In particular, it can relate to a wandering eye. Perhaps we are dating more than one person at the moment, or we are finding ourselves attracted to someone other than our partner. The 818 Angel Number can appear to suggest that, while the attention of multiple people, or of someone new, might feel good right now, if we take this too far, we may find ourselves losing someone else. Consider this consequence of this transient dalliance. We do not want to wait until it is too late to realise that we have sabotaged something important. Seeing an Angel Number should always be a sign of encouragement. It means that Angels are reaching out to help you, and that you are ready to receive their help. However, the multifaceted meanings of numbers, and the infinite possibilities of the individual circumstances of our lives, means that Angel messages are not always easy to decipher. But the Angels want to be understood and will send you their message within a context that helps you understand their message. Pay attention to what you were doing or thinking in the moments when the number appeared. This will help you interpret its meaning. Do you seek guidance and insights into the past, present and future, with regards to relationships, love, or money? 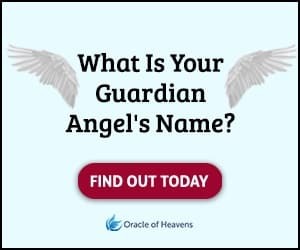 If you are frequently seeing the 818 Angel Number, take this popular free test to see whether your Guardian Angel is trying to send you an urgent message. Keep seeing 818 everywhere? It's usually no coincidence. What could Angel Number 818 be trying to tell you? Learn all the important meanings here.